A lyric video for a previously unreleased Chris Cornell track has been launched. The song is titled When Bad Does Good and will feature on the career-spanning album Chris Cornell: An Artist’s Legacy – set to arrive on November 16. The record will be released by Cornell’s widow, Vicky Cornell on behalf of The Chris Cornell Estate via UMe. It’ll arrive on standard formats along with a limited-edition Deluxe Box Set and a Super Deluxe Box Set – both will include a total of 11 previously unreleased tracks. 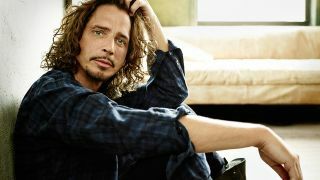 Vicky worked with Cornell’s bandmates to choose the final playlist, which features solo cuts along with material from the late vocalist’s bands Soundgarden, Temple Of The Dog and Audioslave. Vicky Cornell says: “Since Chris’ sudden passing, I have put all my efforts and energy into sharing his music and legacy with his fans from all over the world. “I felt we needed to create a special collection to represent all of him – the friend, husband and father, the risk taker and innovator, the poet and artist. It’ll come bundled with a 66-page hardcover photo book, three artist lithos, three photochromatic lithos which “are brought to life by holding under direct sunlight”, a turntable mat, a vinyl cleaning cloth and a 36x48-inch poster. Chris Cornell: An Artist’s Legacy is now available for pre-order.